Looking for the Best Foundation for Acne Scars? Acne scars are hard to cover for two reasons: discoloration and uneven skin. Acne Scars often leave red marks as the skin is healing. These red marks usually fade over time, but are tough to hide with your average foundation. Likewise, most concealers are not pigmented enough to completely cover the discoloration and wear off quickly. When you have an angry outbreak like this, you need to upgrade your concealer. See how it is done in this acne makeup tutorial video. This transformation is done with a highly pigmented cream makeup designed specifically for acne scars. Thanks to a special formulation used by the professional makeup artists in Hollywood, this is the best foundation for acne scars because it totally blocks discoloration and its creamy formula is buildable. It will conceal a tattoo, so you can trust it will conceal heavy acne discoloration. It is also a long wearing concealer that lasts all day – it dries matte so that it will not smudge off or come off in water. Trust us, you will need makeup remover to take it off! You need another approach to hide deep acne pock marks, acne bumps, ice pick scars, box car scars. Many acne scars will need layers of an advanced foundation or a talented hand to get the look of smooth skin. Cream makeup can be layered and built up to conceal the uneven skin. But if you go to far, it just looks fake and draws attention to the blemishes. 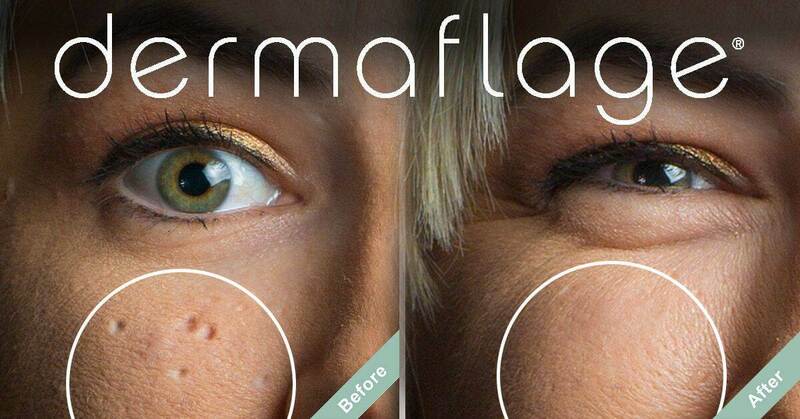 Our Scar Filler offers a translucent covering of tinted silicone that covers the discoloration AND the uneven skin. Best of all – it looks just like your skin. If you want to learn more about the best foundation for acne scars, read on to learn pro makeup artist tips and tricks. Covering Scars: Does BB Cream Work?